These shower hooks from mDesign are a great shower accessory that will add the perfect touch to your bathroom. These shower hooks will not scratch the curtain rod and slide easily. They complement any bathroom decor with metallic styling and tasteful details. 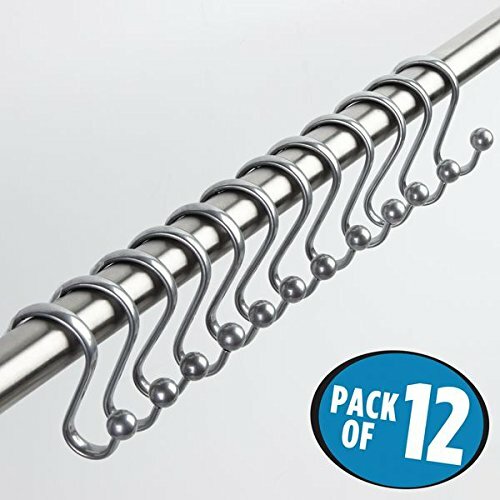 Set of 12 hooks.